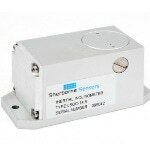 Sherborne Sensors is the preferred provider for inertial (accelerometer and inclinometer) sensors and systems and load cells in the Aerospace industry. The products are found across all market segments including: Civilian Aviation, Military Aviation, Commercial Aerospace and Space. 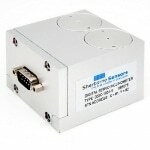 Sherborne Sensors’ load cells can be found in a wide range of Aerospace testing and measurement applications. 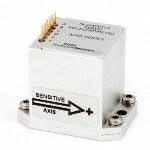 Companies such as Boeing, Airbus, Northrop, Bombardier, Astrium and Lockheed Martin have depended on load cells from Sherborne Sensors for many years. The most popular aerospace load cell designs include Button or Pancake load cells, Digital Load Cells and Single Point Load Cells and are often specified as miniature or low profile load cell designs. Sherborne Sensors’ load cells are typically used for a broad variety of load cell applications ranging from testing aerospace assemblies such as braking or control systems to inclusion in active flight control systems. Accelerometer and Inclinometer products from Sherborne Sensors are in service across a variety of Aerospace platforms including rotorcraft, fixed wing, UAVs, UUAVs, space vehicles and cruise and ballistic missiles, on both mobile and fixed platforms. These Inertial products are used in a broad range of applications including precise aiming of mobile, ground and naval antenna masts and dishes, missile fire control radar systems, towed arrays and dummy target missile platforms, general angle of attack measurements and also for aerial tankers and launch vehicle control. Applications found in this space include precise aiming of mobile, ground and naval antenna masts and dishes; missile control radar systems; general angle attack measurements for aerial tankers; towed arrays and dummy target missile platforms; and launch vehicle control. Transportation of both goods and people continue to evolve with regards to modes and options. Both individuals and governments have recently recognized that models based primarily on individual modes of transportation are ultimately not sustainable, both from an environmental and an economic perspective. A combination of individual and mass transportation solutions is required. As a result, there has been a dramatic increase in funds directed at these solutions and their technical requirements. The rail and barge segments are of keen interest within the transportation industry. They both offer the opportunity to move large numbers of goods and people in significantly more efficient ways than individual ships, trucks or cars. Sherborne Sensors is assisting leading manufacturers and their customers by providing sensors for a broad range of applications. These include; vibration monitors for engine and driveline systems to proactively assist in identifying possible maintenance issues; inclinometers to monitor barge loading and unloading activities to ensure safe operations; accelerometers to protect passengers and freight by modulating train acceleration and deceleration protocols; and angle analysis systems to verify rail track properties and conditions to ensure safe passage of both freight and passenger loads.